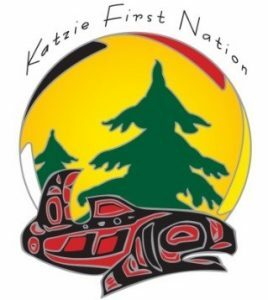 A relationship of mutual respect, and recognition of the Katzie First Nation as original owners and ongoing caretakers of their territories, is reflected in a Protocol Agreement signed between Katzie First Nation and the UBC Faculty of Forestry in 2009. The MKRF and Katzie share a common goal of maintaining a healthy forest ecosystem and its cultural, spiritual, environmental, economic and social benefits, in perpetuity. Today, the Katzie First Nation and MKRF are partners in forest management and education in the local community, with a focus on joint activities in the MKRF. Before the MKRF was established in 1949, two major forces had significantly impacted its land base: fire and logging. Although the coastal rainforest climate is quite wet, fire is still the most important natural disturbance in this inland forest ecosystem, with large fires typically recurring every 350-500 years on average, since the last glaciation (ice age) retreated approximately 12,000 years ago. 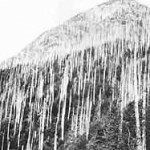 In 1868, a large fire swept through the western side of the forest, burning everything but the wettest pockets of land around lakes and stream basins. Local historical records indicate the fire was accidentally started by local settlers clearing land, during a particularly dry season. This area regenerated naturally and is now covered with healthy 140-year-old forests made up of a mixture of Douglas-fir, western hemlock and western redcedar, along with intact pockets of old growth and younger stands from more recent harvests. Between 1920 and 1931, logging activity in the local area increased significantly, with about 2800 hectares of high volume, old growth stands in the eastern part of what is now the Research Forest being harvested. This harvesting was done by railway logging, using steam donkeys to haul large trees out of the woods. Most of the harvesting was done by the Abernethy and Lougheed (A & L) logging company. In 1931, a spark from a neighbouring logging operation set off a large fire which burned out of control for more than a month. When the fire was finally out, and with the onset of economic decline in the 1930’s, the logging was abandoned. The forest regenerated naturally to what is now 70-80 year old second growth, made up mostly of western hemlock and western redcedar, with a smaller amount of Douglas-fir. Much evidence of this history can still be seen in the forest, including the massive cedar stumps, old railway grades, and metal cabling used in railway logging. Many roads in this part of the MKRF were built on the old A&L railway grades used in the 1920’s for hauling timber. When UBC began managing the MKRF in 1943, research and education became the main focus. To help assist this process, Research Forest staff and students began construction of a camp for students at Loon Lake, the largest lake on the forest. The first UBC Faculty of Forestry field course was held there in 1948, and has been run annually ever since — now expanded to five diversified field courses. Loon Lake today, newly rebuilt and expanded as a lodge and retreat centre, has welcomed a wide variety of educational and community groups since its early days. 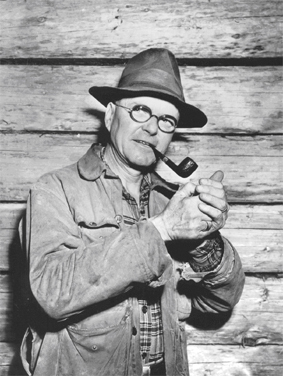 F. Malcolm Knapp was born in New York State in 1897 and taught forestry at the University of British Columbia for over forty years. 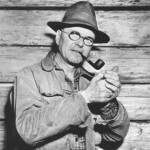 After completing degrees in forestry at the New York State College of Forestry and the University of Washington, he came to UBC in 1922 and began a long association with the institution. The Department of Forestry had only been in existence for two years when Knapp arrived. Professor Knapp taught courses on logging, wood technology and forest products. In the early 1940s, Knapp foresaw the day when B.C.s largest industry would change and new challenges would confront the industry. He realized that scant resources at UBC were insufficient to properly train future foresters. At the time the University had only the Campus Forest , a small area of second growth at the southwest part of the campus. Knapp was instrumental in acquiring the 5,157 hectare forest north of Maple Ridge that now bears his name. His negotiations resulted in the province issuing a grant that initially leased and later gifted the forest to UBC. 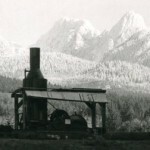 Knapp was also the first Registered Professional Forester in B.C. and held the post of Registrar of the Association of B.C. Professional Foresters for many years. Today the research value of the forest remains its greatest asset. His vision was to have a varied area where one could do harvesting, salvaging and silviculture, and conduct forestry research of all kinds. Renewal and regeneration were things close to Knapp’s heart. He retired in 1963 after completing forty-one years service to the University. In recognition of his contribution to the establishment of the Research Forest, its name was changed in 1988 to the Malcolm Knapp/UBC Research Forest . Knapp died in 1989 at the age of 91.